Escape to the wonder of relaxation and tranquility, nestled among the pines. Heaven Sent Cabin is a dream come true, offering an oversized, luxurious master suite and two guest suites. Each bedroom offers indulgent bedding and a private en suite, with a beautiful view of the surrounding pines. Gather around the fire place in the generous living room or prepare family meals in the state of the art kitchen. End the evening on the patio, gazing at the expansive sky, while cozying up by the outdoor fireplace. 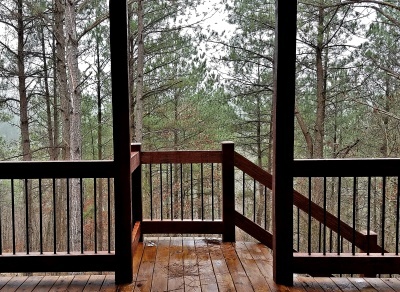 Heaven Sent Cabin welcomes you to Beavers Bend. New cabin - Construction completed in 2017!